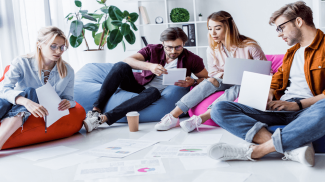 A majority of small businesses are looking to the cloud for solutions to their communications needs, says a study from Cisco (NASDAQ: CSCO) and ZK Research. At the direction of Marcus Gallo, senior solution marketing manager for Cloud Collaboration at Cisco, Zeus Kerravala, an industry analyst with ZK Research, conducted more than 50 one-on-one interviews with small business owners and IT leaders to understand their top business and IT priorities. Kerravala published his findings in a white paper (PDF) that, in addition to listing business and IT priorities, addressed the benefits of using cloud-based unified communications systems as a service and recommended Cisco’s offering, Spark, as a possible solution. While the white paper reported that business priorities are the same as they have always been — increase revenues, reduce costs and stay ahead of the competition — Kerravala found that, on the IT front, a majority of small companies (86 percent) are considering the use of cloud-based unified communications (UC) systems as a possible solution to their communications needs, replacing their more traditional premises-based counterparts. Of those interviewed, only 14 percent have no immediate plans to test or deploy such a system, Kerravala discovered. 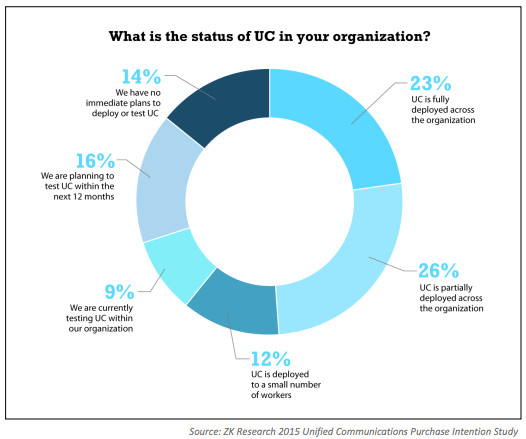 On the other end of the spectrum, just 23 percent have fully deployed UC across their organization. Unified Communications is a marketing buzzword that describes a suite of integrated communications services, which include voice, chat, text/SMS, presence monitoring, video and Web conferencing, email and fax. According to Kerravala, UC carries several benefits over premises-based systems, especially when deployed as Unified Communications as a Service (UCaaS), a delivery model in which a variety of communication applications and services are outsourced to a third-party provider and deployed over an IP network, usually the Internet. Lower costs. UCaaS requires no up-front capital expenditure. Mobility, operational support and network costs are also reduced because third-party providers maintain the service. Faster time to market. 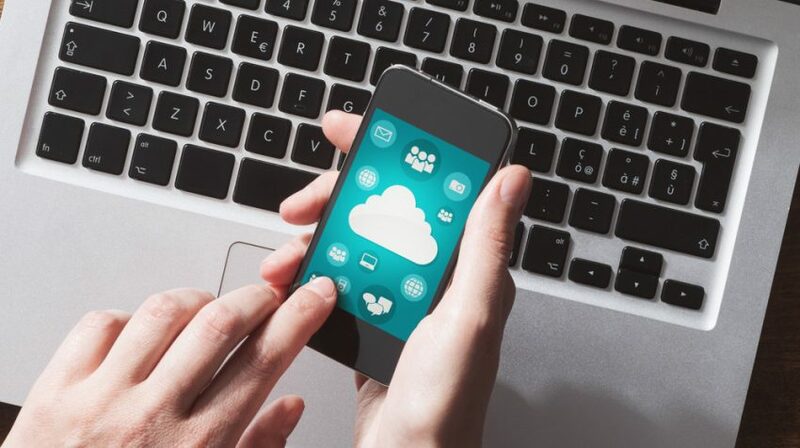 Because it is delivered in the cloud, UCaaS can make unified communications available immediately, unlike on-premises solutions, which can take several months to deploy. Competitive advantage. UCaaS enables collaboration across the organization in real-time. Improved productivity. Employees can get work done from anywhere, regardless of location, time of day or device (mobile or desktop). Simplified UC. Because UCaaS is a cloud-based communications systems, there is no need to manage servers, the network, software or other technology. In summary, UCaaS is simpler to use, costs less than premises-based systems, and offers greater flexibility and scalability, says Kerravala. Kerravala recommends Cisco’s service, Spark, as a solution — likely because Cisco commissioned the white paper. 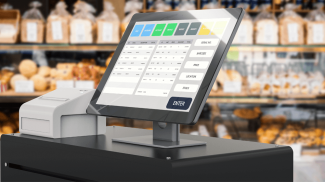 The system, while impressive in that it covers three core UC services — messaging, meetings and calls — is only one of many such solutions designed for small business use. Others include Vonage Business, Windstream, Verizon Business, RingCentral and Mitel. Kerravala concludes the white paper by saying that small businesses are under tremendous pressure to find new ways of growing revenue while lowering costs. He proposes that cloud-based unified communications systems like Spark and others offer an attractive value proposition that meets those needs. Kerravala recommends that smaller companies begin by deploying UC with a small, controlled pilot group, to better understand the productivity benefits and cost-saving implications. He also suggests the use of UCaaS as opposed to premises-based systems due to the benefits it provides, such as those mentioned above.